If you are health conscious and love working out, then take this opportunity to turn your passion into a profitable business. You can build your gym and help a lot of people who would like to change their lifestyle by reaching their fitness goals. If you are interested in having this kind of business, here are some tips that can help you get started. Just like any other business, opening your gym needs a lot of planning. Make a list of the things that you need to do for the company to be operational as soon as possible. Always remember that wasted time is also equivalent to wasted money and opportunity. Do not delay your business plans because a potential business competitor might take the chance that is intended for you. Start applying for a business permit, checking out commercial places where there is high foot traffic, canvass and order gym equipment and finalise your membership fees and monthly rates by making sure that they fall within affordable pricing. If you want to attract more clients, then you have to be a credible business owner. Most of your clients have no idea how to get started with their fitness journey. They need someone who is knowledgeable about different fitness and weight loss plans. Obtaining certification will also be your selling point to people who are thinking of looking for a better place where they can work out. 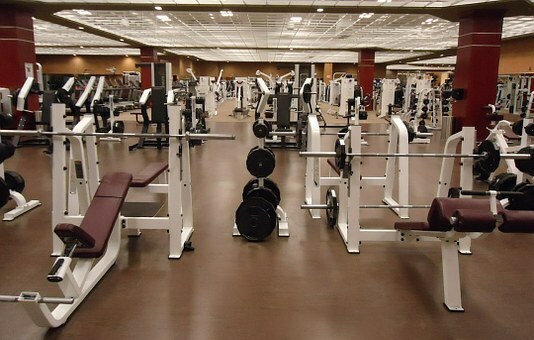 You should find an ideal location for your gym. Your space should be easily accessible to clients. If your gym is hard to locate, people may be discouraged from getting a membership to your gym. You will also need to invest in a computer and gym membership management software to easily keep track of your customer records, which will make you and your staff more efficient in running the business. Gym equipment is one of the most significant expenditures that you will need to invest in. If you want your gym to survive you need to make sure that you will be able to convince a lot of people to join your fitness club. Investing in high-end equipment such as treadmills, steppers, and elliptical machines are just some of the things that you need to have. Plus, you also have to purchase various sets of free weighs for those clients who are into bodybuilding. Since we already established the fact that investing in the gym business requires you to have a significant start-up capital, this doesn’t mean that you need to give up on your dream. What you can do instead is to look for a business partner or a few investors who believe in your vision and have faith in your abilities to turn this business into a successful one. Any start-up business will experience good and bad times. You need to hang on and keep giving it your best.